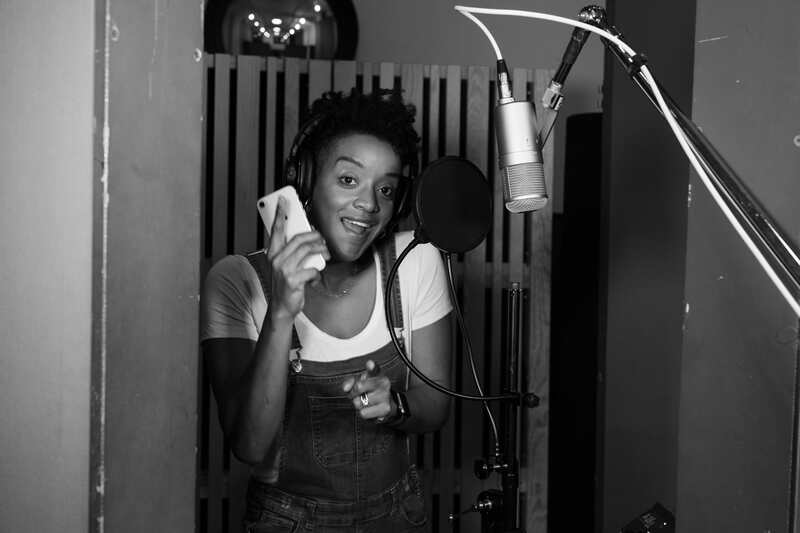 Starita has been hitting the studio hard (what’s new) with many collaborators for a string of releases slated for Spring/Summer 2019. The first is set for release April 26th between Starita, RyanNicole, Aima The Dreamer and Terra Lopez for UnderCover Presents – Tribute to A Tribe Called Quest’s ‘Midnight Marauders.’ The crew took on Tribe’s summer jam The Chase, Part II reinterpreting it into something very unexpected. While recording at Airship Laboratories in Richmond, CA an interview took place over the course of the day and they had alot to say about the process! Starita speaks about how he approached this particular song as an artist although he is also the producer on the album project. Needless to say this is going to be a treat for dance music and Tribe lovers! UnderCover Presents was founded by Lyz Luke in 2010 and has rapidly established itself as an inspirational collective that gathers musicians and artists from every facet of San Francisco Bay Area’s creative community. Since its founding, UnderCover has paid tribute to 14 albums, worked with over 150 local bands, and presented to over 35,000 audience members throughout San Francisco, Oakland, and Berkeley. UnderCover has won Best of Awards from SF Weekly, SF Bay Guardian, East Bay Express, and has also attained two (2) Mayoral Proclamations for Green Day and Sly & The Family Stone at their tributes. UnderCover has become a true public celebration of local music, which is evident by their sold-out shows. This time around, UnderCover Presents is honoring A Tribe Called Quest’s ‘Midnight Marauders,’ an album that bridged the gap between hip-hop and jazz. Given that the album just celebrated its 25th anniversary, UnderCover felt it appropriate to continue to introduce this classic record to new audiences. Not to mention that the messages embedded in this album continues to echo resoundingly as we witness all that is taking place in the world. The collective is collaborating with Starita as music producer for the album recording, based upon his deep production experience across a multitude of genres in addition to his relationship and last work with Phife Dawg and ATCQ. For the first time, UnderCover will be releasing a double vinyl to commemorate this tribute. Today UnderCover Presents shares the first cover for “We Can Get Down” by high energy soul rock band Royal Jelly Jive. You can listen on Soundcloud. 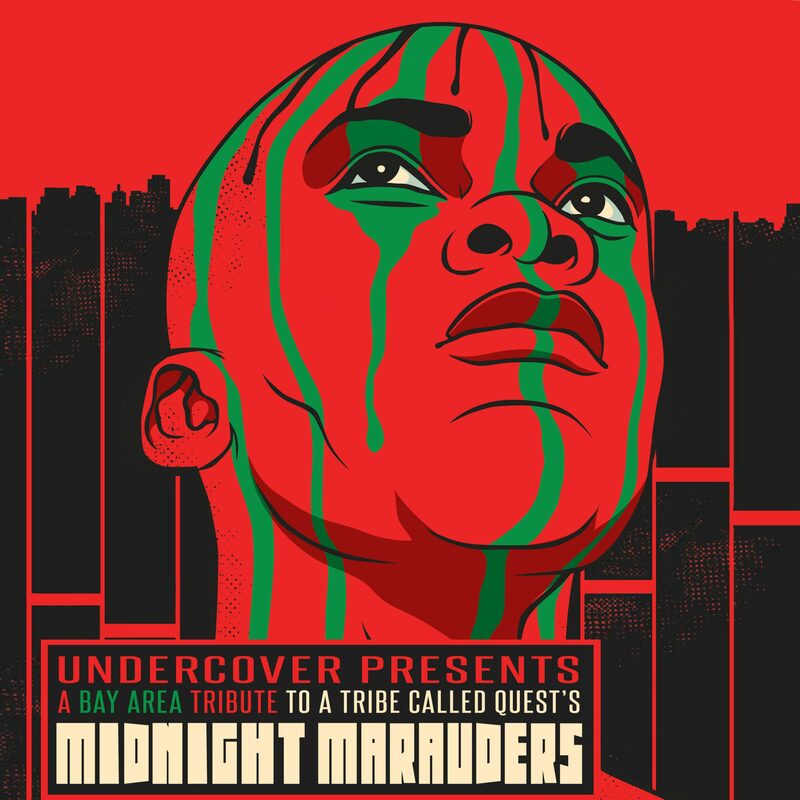 With this ATCQ’s ‘Midnight Marauders’ tribute, UnderCover has united 13 local bands from a wide range of genres, 7 MCs (including Gift of Gab, Lateef the Truthspeaker, Karega, Starita, RyanNicole, RAV-E Sandhu), over 100+ artists, 9 engineers, 5 music studios, and 1 vinyl pressing plant, to produce an album within 65 days, from pre-production to mastering. The result is a one-of-a-kind and unexpected soundscape of reinterpreted tracks for a mixed genre collection – Experimental Orchestral, World, Cumbia, Reggaeton, Latin Hip Hop, New Orleans Jazz, R&B, Soul, Indie Folk, Rock, Funk, Future Soul, Alternative Rock, Jazz, Electronic, Dance, Ghangra and Afrobeat. UnderCover Presents: A Tribute to A Tribe Called Quest’s ‘Midnight Marauders’ is out 4/26/19. A Tribe Called Quest Week will feature 3 shows, starting on Thursday, May 16 through Saturday, May 18, 2019 at the Yerba Buena Center for the Arts in San Francisco, CA followed by an After Party at 7th West, Oakland, on Sunday, May 20, 2019. UnderCover will dedicate Friday as “Phifeday” in honor of Phife Dawg. Details are below, tickets can be purchased here. Beyond his skills on the mic, A Tribe Called Quest‘s Malik “Phife Dawg” Taylor was also a people-connector. 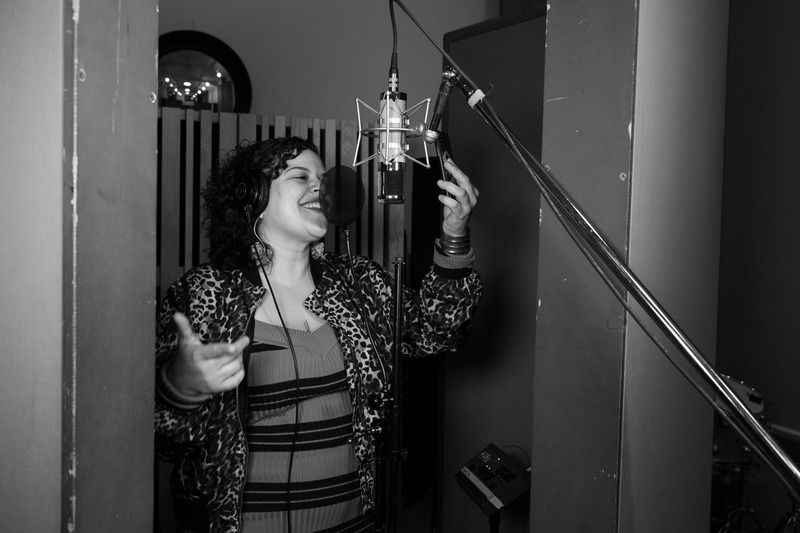 While working on the last Tribe album, We Got It from Here… Thank You 4 Your Service last year, producer/engineer Starita (born Michael Starita) vibed with the Queens rap collective for “Dis Generation” and grew close to Phife’s manager and best friend, Rasta Root. Madame Gandhi releases a new single to follow up here EP ‘Voices’. This is the 3rd releases Madame Gandhi and Starita have worked on together at Different Fur Studios.